This is a good news for PTCL's EVO customers. PTCL brings Smart TV application for PC / Laptop and Android Handset users. This application is for those customers who are using PTCL EVO Service. The customers on EVO network can access this Software. 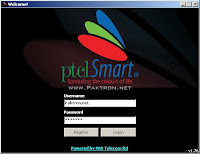 Smart Tv Application is designed to provide PTCL's Smart TV Streaming services to Computer and Mobile Phone users. The application also gives its user a Re-run feature of 7-days through which users can watch any past program. Not only this users can also record a live or past program in their laptop hard disk, the functionality is known as DVR- Digital video recording. The service monthly subscription charges are Rs 50 / Month. 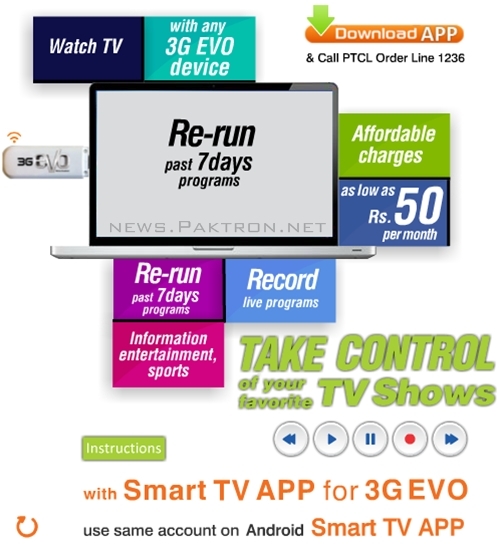 Download PTCL Smart TV Application from PTCL website with your 3G EVO Device and Watch Live TV Programs on your Computer / Laptop & Android Handset on the go for Just Rs. 50 per month.